Midas announces the listing of Glacier Platform (GLPM) to the Midas platform as an Instant Share. Participate in the presale today to receive instant rewards. Who are Glacier Platform, and what do they offer? 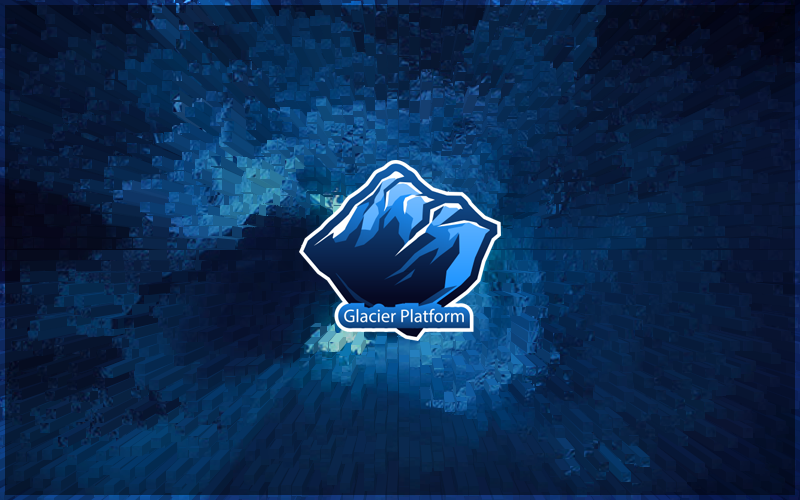 Glacier Platform is a progressive platform offering Blogging on the Blockchain, providing content providers and readers with a secure, user-friendly and free platform from which to easily monetize content. Today, blogging is big business. In recent studies 77% of internet users regularly read or subscribe to bloggers, and the sector has experienced continual year-on-year growth. In 1994 with the introduction of home Internet access, what we know as blogging first started to appear. After 25 years, the blogging fraternity has changed and developed beyond recognition. 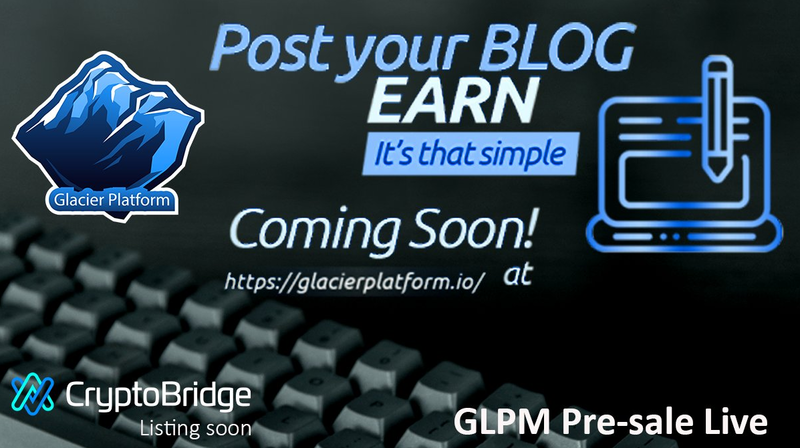 Blogging on the Blockchain through Glacier Platform is focused on the development of the next generation platform for content providers, offering a direct channel for authors and readers to monetize content — paid direct to their GLPM e-wallet. Glacier Platform isn’t limited to blogging, but also offers creators to publish video content, podcasts, and other written content. With income generated through their upvote-downvote functionality, content creators are rewarded when their content receives upvotes, with the upvoter earning a portion of that reward. This mutually beneficial concept is aimed at building an active community with regular contributors — both authors and community participants. Built with speed and security in mind, the Glacier platform promises a good user experience, offering a clean and functional UI, where all content, comments and other contributions are stored directly on the blockchain. The core team at Glacier Platform is formed with industry experts from finance, development marketing and licensing, giving the project a fantastic base from which to achieve it’s potential. What is Glacier Platform hoping to achieve? Blogging through traditional avenues is a fantastic avenue to voice opinions, offer expertise and general information, but many bloggers and content providers have set out to monetize their opinions and content and proved unsuccessful. Glacier Platform aims to revolutionise blogging and vlogging, providing content providers with an immediate monetized outlet with security and backing of blockchain technology. As a result of key merchant partnerships, platform contributors and earners will be able to spend GLPM through various online merchants directly from their e-wallet or desktop wallet, with GLPM payment integration provided to point of sale merchants. To build upon the Glacier Platform ecosystem and compliment their blogging on the blockchain concept, Glacier Platform plan to implement a global, decentralised e-book marketplace. Giving authors and writers the ability to self publish paid content offering an immediate route-to-market, the marketplace aims to build an extensive collection of e-books and magazines in addition to other written content. Why has Midas offered Glacier Platform (GLPM) to our community? With blogging continuing to gain popularity, the sector has seen fantastic advancement in blogging platforms and outlets. However in addition to issues surrounding ownership, bloggers and vloggers have been unable to easily and effectively monetize content. We believe decentralised blockchain technology complimented by the Glacier Platform concept provides authors, writers and other content producers a solution to this problem experienced by the majority of bloggers and vloggers, and expect blockchain to disrupt this industry as a result. Where can I purchase GLPM? Until 30th November 2018, the Glacier Platform coin, GLPM is in presale. 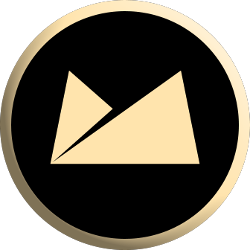 For investors wishing to purchase GLPM, participation in presale can be found from the link below, then sent to the instant share. From the beginning of December, once presale has completed, GLPM will be available for purchase via exchange on Cryptobridge. Can I get more information about Glacier Platform?